Elizabeth Evans was an important Wesleyan preacher in the South Derbyshire area during the early 1800s, not least because she was a woman. During her years preaching she had great impact with her congregations but encountered resistance from some male ministers and officials with the result that for a period she was forced to move to another branch of the Methodist Church. Her husband Samuel Evans, also a preacher, in later life had his own silk mill at Crown Yard, site of our original heritage centre. 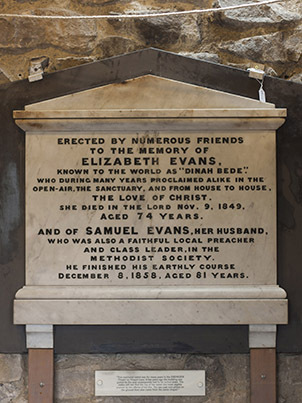 Her niece, Mary Ann Evans, writing as George Eliot, took inspiration from her aunt’s life and stories in her novel, Adam Bede. 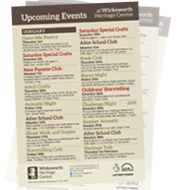 2019 is the bicentenary of the birth of George Eliot and we will be exploring her links to Wirksworth in a new display at the Heritage Centre in the Spring.